Too adorable! 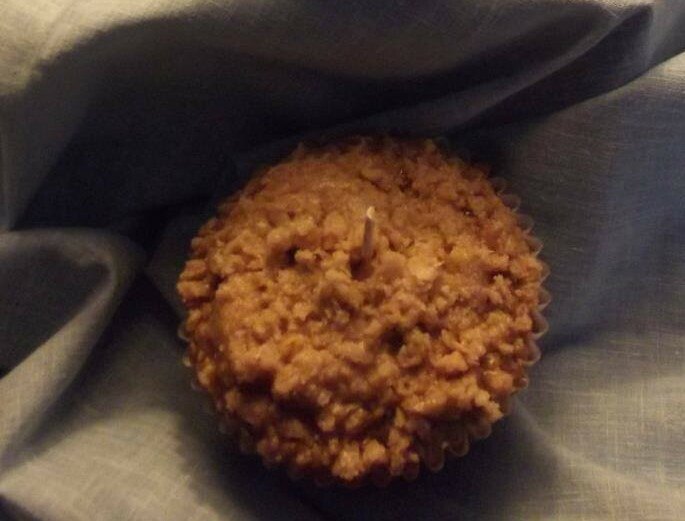 This little candle addict tried to take a bite out of the blueberry muffin candle, and get a facefull of brownie sundae. Unfortunately for him, the wax didn’t quite taste as good as the smell! 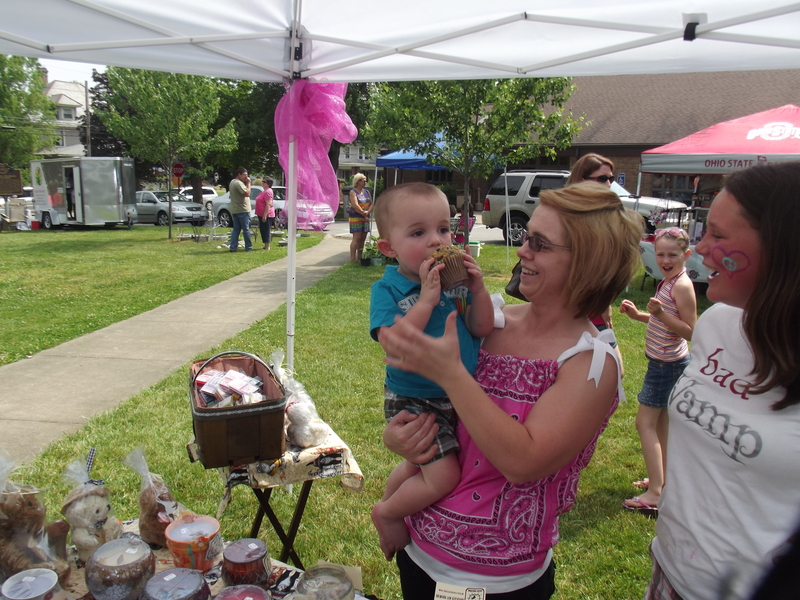 Photo from the craft show in Loudonville, Memorial Day weekend 2012. Just in time for summer, one of my newest favorites is this watermelon rendition. When I showed it off to my friends I got a great reaction as immediately I was selling them faster than I could make them! 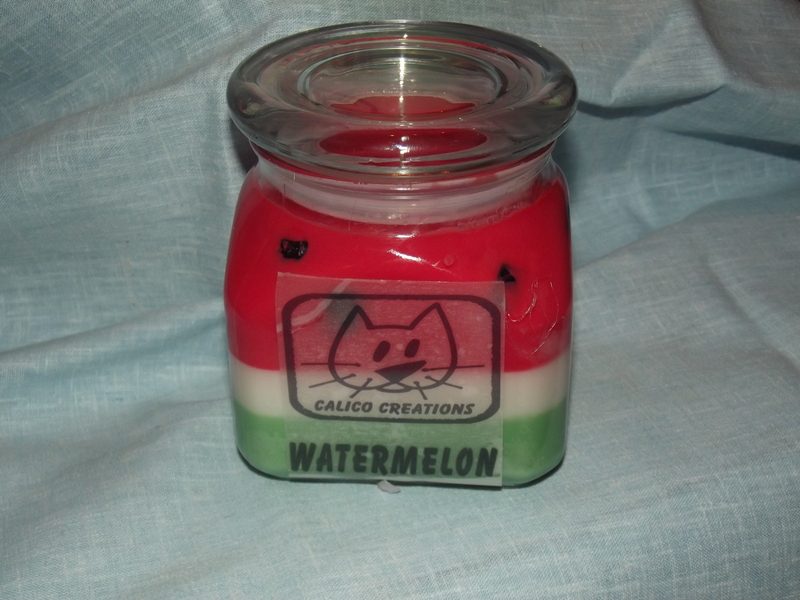 This watermelon candle is the perfect summertime edition for any picnic table. Now being offered as a citronella candle to help keep those mosquitos away!!! Here we go again! Calico Creations is on the road again. 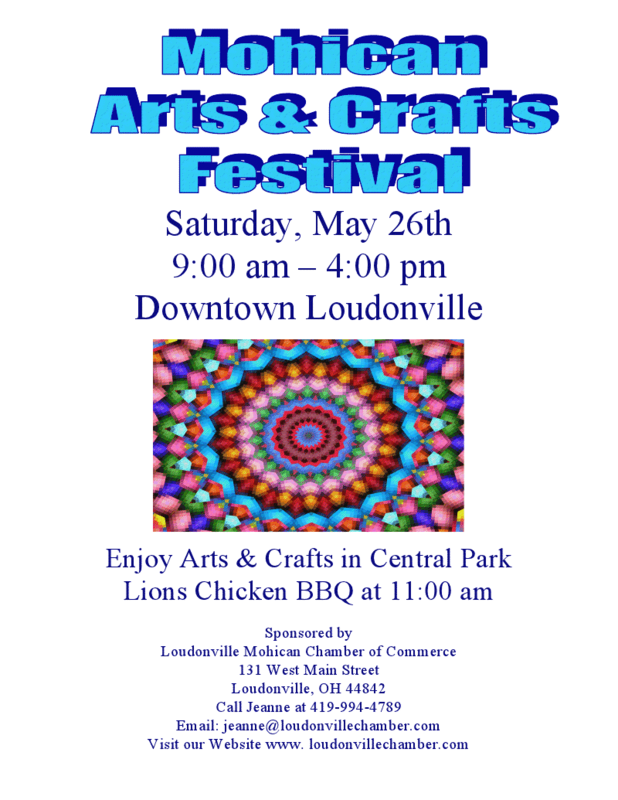 This weekend we will be in Loudonville, OH at Central Park from 9:00am to 4:00pm. Stop by and see me! Thanks to all my co-workers who wished me good luck this weekend! I attended my first craft show in Mansfield, OH and it worked out great. People loved the candles and the Calico Creations word is getting out! Thanks to Carrie for sending me this beautiful graphic too. I will be announcing the next location soon so look out! Meet Calico Creations in Mansfield, OH Today!!! 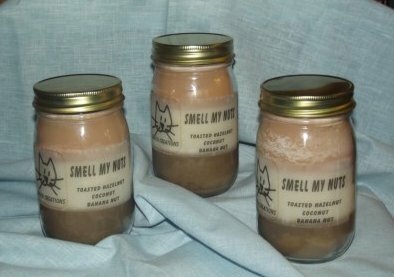 I know, you’ve been reading all about these candles but you want to meet the mastermind behind the whole ball of wax. Or, maybe you just want to check out the candles for yourself! 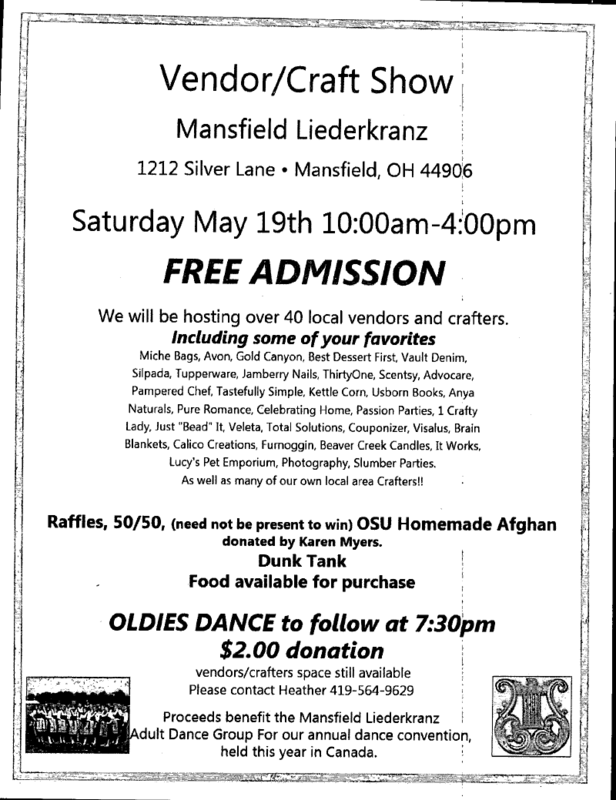 Well, I will be posting up a table today at the Mansfield Liederkranz from 10:00 am – 4:00 pm and will have an onslaught of candles available for you to check out. Free sniffs for everyone! For more information on the event check out the flyer to the left. Do you ever wish it could be spring time all year round? I know I do. 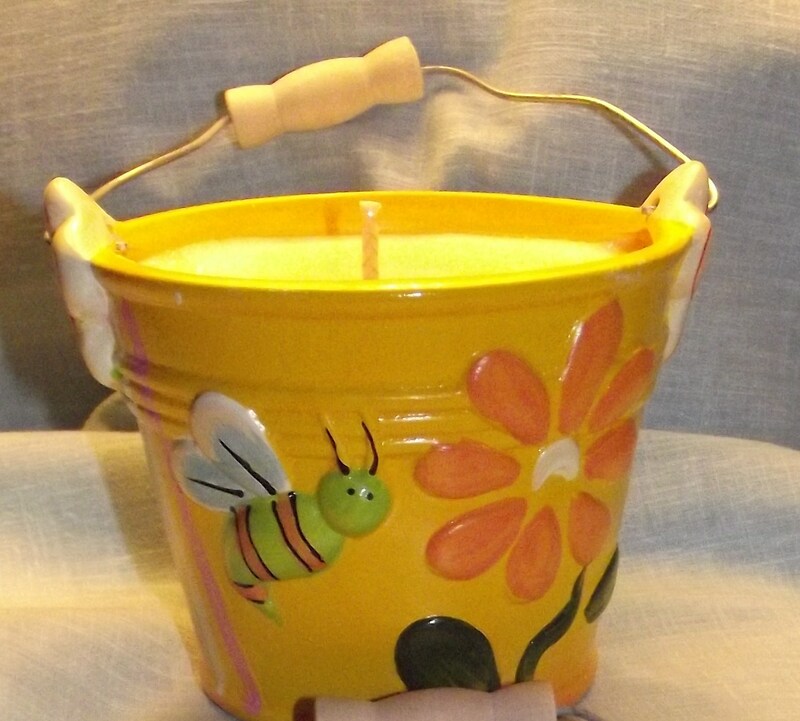 Celebrate spring with this beautiful bucket bursting with a cornucopia of floral scents. Pick you favorite floral arrangement below and choose between the yellow or orange display bucket. Yep, that’s right. I’m asking you to smell my nuts. The complex combination of banana nut, toasted hazelnut, and coconut of course. What did you think I was talking about? Get your mind out of the gutter. I hadn’t considered making this one until a colleague at work asked specifically for it. 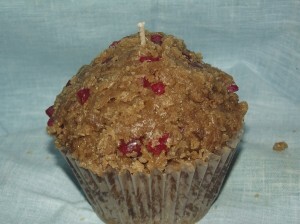 Since then, the strawberry muffin has been a hit and is nearly as popular as it’s predecessor blueberry. Strawberry is a little sweeter and makes a tasty addition to any candle lover’s home. 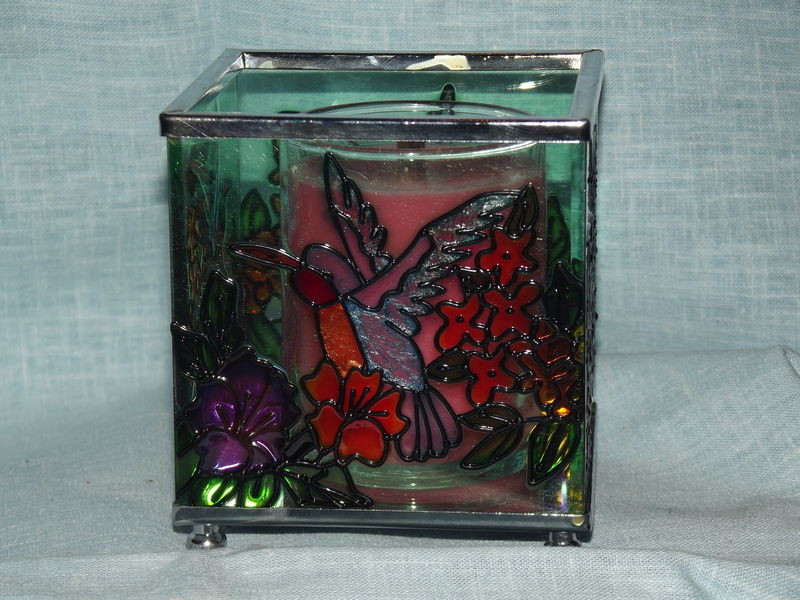 This limited edition candle comes in squared container with an elegant hummingbird design. Just like the bird, this candle should certainly get some attention with it’s mixture of floral and tropical scents that will convert any room from stale to crisp. Due to the availability of the beautiful container, I can only produce so many of these so get yours now before they fly off the shelves!